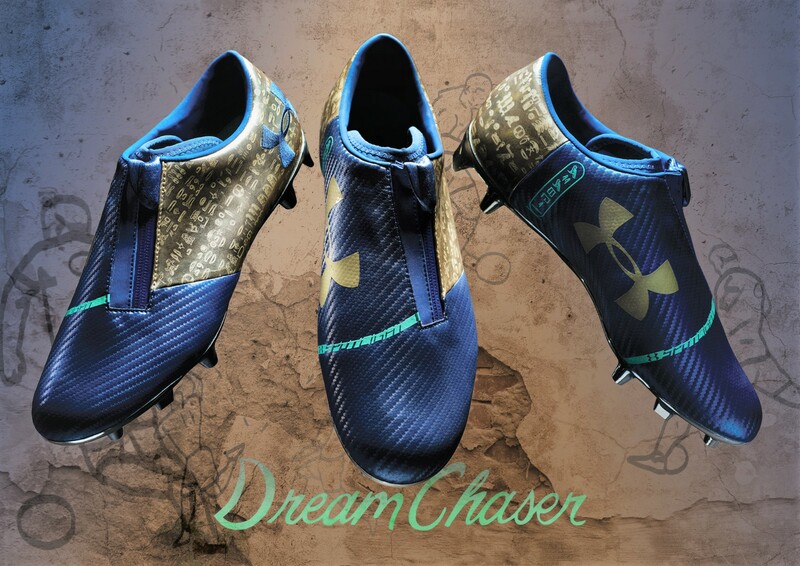 This weekend will see Memphis Depay launch a brand new signature pair of Spotlight FG boots, “The Dream Chaser.” Under Armour has again teamed up with the Lyon star to create a unique boot which encompasses all of Memphis’ unique traits; his style, creativity and passion for football and life as a whole. 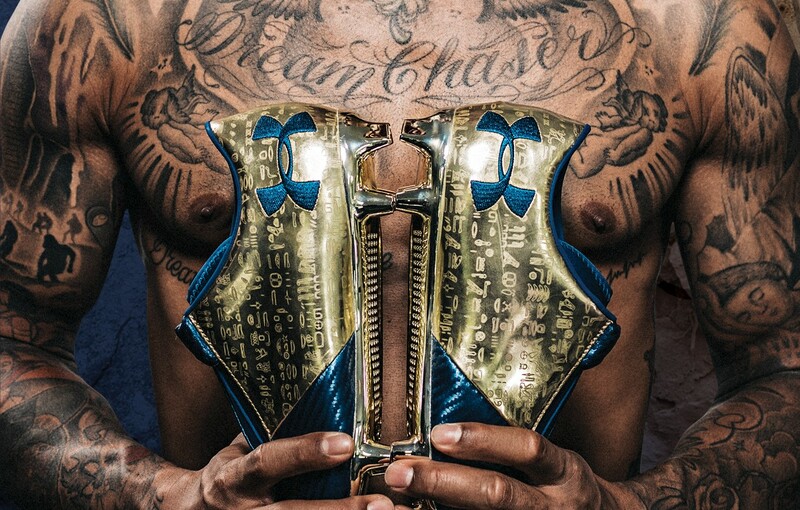 Featuring striking gold Egyptian hieroglyphics on the heel that spells the name Memphis, this unique designs inspiration came directly from the Egyptian tattoos on Depay’s body. He has always chased his dreams, both on and off the pitch, and these boots are a celebration of the character and ambition demonstrated as a young athlete. Each of the specific colors on the boot links to their premium style; the gold symbolizing courage and the turquoise highlights celebrating the energy and determination of Depay. Currently available in limited numbers at soccer.com. In terms of the actual boot silo, this is the second generation UA Spotlight release, designed with a zipper located down the lacing panel. “A ZIPPER!? !”, I hear you scream. Yes, you heard me correctly. Just off-center, along the region where a tongue would normally sit is the same style zip you would find on your winter jacket. In this instance, though, Under Armour has gone to extensive lengths testing a design that serves a functional purpose on the Spotlight. Do You Feel The Zip While Striking Shots? For the answer to that question and others, check our original Spotlight feature where we cover it in full. In terms of retail, there are still a few days to wait before special edition pairs become available. The Dream Chaser Boots are priced at $230 and will be on sale starting Saturday 11th November.